Cookies are tiny files a website puts on your computer to store bits of information. For example, a cookie remembers your location choice, keeps you logged in, etc. That’s fine, right? The problem is that a lot of cookies are used for advertising purposes and these cookies are there to track your online activity. Put simply, if you’ve ever wondered how you get cheap flight ads when you’re looking for a nice seaside hotel, know that cookies are responsible for that. If you don’t like being tracked by advertisers, your best bet is to delete cookies on a regular basis. We’re going to show you how. The easiest way to delete cookies from all browsers is to use a PC cleanup program like FileCleaner that makes it easy to delete cookies from all your installed browsers in one click. Most PC cleaners make deleting cookies and other browser junk as simple as scanning your PC, examining the scan results, and deleting everything unneeded in one click. FileCleaner even has an option that allows you to clean up cookies in real time automatically – just adjust the settings and tell the app which files to clean up and when. You can also delete cookies manually. This takes more time, though. 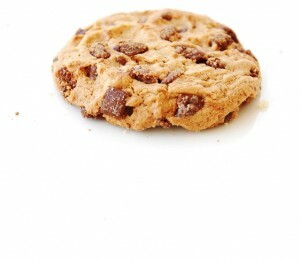 Here are instructions on how to delete cookies from all popular browsers.